DARTS expert expert Kyle Brown (@Kyleianbrown) talks us through the seventh week of Premier League action, picking out his favourite fancies. Week 7 takes us across the Channel into Germany, and fittingly Max Hopp will look to entertain his home crowd in what will be a hotly contested week of darts. Just four points separate first place and eighth, so a good run of form can put any player in contention (other than bottom dweller Raymond van Barneveld, who is still winless after six games). The opening two games are evenly matched and hard to call so each respective player will know they’ll have to perform their best if they are to take anything away from Berlin. Business is back to normal as Michael Van Gerwen sits atop of the league again after a two-week slump of form (if you can even call it that) and that’s reflected in Gurney’s massive 8/1 price. Michael Smith and Mensur Suljovic are both coming off wins and looking to continue that streak and as previously mentioned Hopp will have the home crowd behind him as he takes on Barney: and we saw just how pivotal the crowd can be when the Aberdeen faithful cheered on John Henderson to a fantastic 6-6 draw with world #1 van Gerwen. Barney won’t face a lesser ranked opponent this season than when he comes up against world number 29, Hopp. He is still regarded as the underdog, priced at 6/4 on Paddy Power, but if he is to save the embarrassment of going winless throughout the whole season then he needs to get the job done here. If you’ve been following my articles you’ll have noticed I back against Barney almost every week, but for this week and this week only I’m going to tip him to win. Experience will prove key here and he has the bottle to withstand the Berlin crowd. Hopp hasn’t beaten anybody notable of late and dropped 11 legs over the weekend to Cristo Reyes and Darius Lanauskas. Furthermore, Hopp hasn’t beaten any player ranked in the world’s top 50 since Danny Noppert (#45) back in December, which is enough for me to believe that Barney will get his first (and probably only) win of the season. 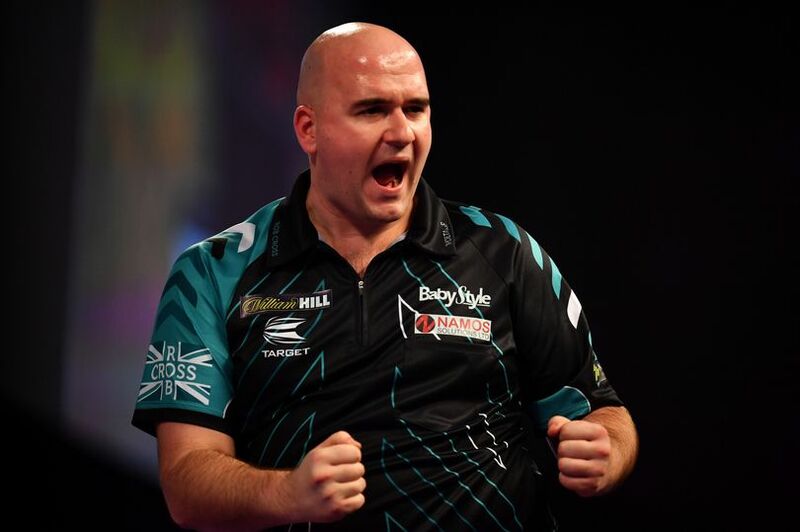 Aside from the UK Open final defeat to Nathan Aspinall, Rob Cross has barely put a foot wrong in 2019. He’s won 31 of his 44 games this year, which includes three on the bounce in the Premier League, and has the highest three-dart average of any of the nine players – 101.13. His opponent, Price, started the campaign in electric form but has seen his results dip ever so slightly in recent weeks, and he was comfortably beaten against Michael van Gerwen last week, in a game that many tipped him to cause an upset. The first match in Berlin will be one that either opponent can win if they take their chances, but with Cross being the in-form player of the league – and probably the world – right now, he is great value at over even money, 5/4 on SkyBet, to be exact.